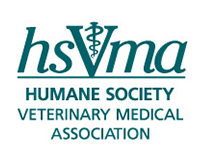 HSVMA applauds veterinary schools that are breaking the mold to enhance student education and improve the welfare of animals. The schools highlighted below are embracing technology, responding to the needs of their communities, and giving students a competitive edge when it comes to skill development. We update this page regularly, but if you know about a welfare-minded school program we should celebrate, please contact us! Like many other veterinary schools, Purdue has a surgery rotation for fourth year DVM students. Another way the students get their surgical experience is with the highly sought after fourth year shelter medicine elective. A student who chooses this 3-week rotation spends 2 weeks of it on the Priority for Paws mobile unit. They travel to different shelters within a 2-hour drive from West Lafayette, which is where the college is located, and perform spays and neuters on those shelter pets free of charge. On average, a student can leave this rotation having done up to 70 surgeries thanks to this program. Often, this experience not only improves the surgery skill of the student but also their confidence. Students may feel unprepared in certain aspects of surgery because of lack of exposure. Being able to participate in this program significantly changes that.